From the best VoIP services to superior IT installation, maintenance, and repairs, our experienced team will provide you with everything your business needs to maximize efficiency and improve your bottom line. Yoko Networks is home to a large staff of IT experts with the skills, knowledge, and experience to bring you the latest in computer hardware, software, VoIP, and information technology. When your business needs IT repairs, Yoko Networks is your full-service repair shop. We have the latest in tools and equipment for computer repair and promise to safely, quickly, and reliably provide effective IT solutions. In today's fast-paced and competitive business environment, you need an IT company you can rely on. At Yoko Networks, we're dedicated to bringing you the cutting-edge technology and lightning-fast service you need at a price you can afford. Hosted VoIP is one of the best ways you can maximize your business's communication capabilities while saving money over traditional phone systems. When you want a company that can provide you with the absolute best VoIP service, Yoko Networks is here to take care of you. We can handle all of your VoIP needs including Snom phones, system setup, features, and free unlimited lifetime support for future locations. Let our experts focus on your VoIP service so you can stay focused on your business! Since our inception many years ago, Yoko Networks has been building a reputation for a commitment to superior service, outstanding flexibility, and industry leadership. We are known throughout the Chicagoland area and beyond for delivering timely IT solutions at an affordable price. This has resulted in many loyal clients who rely on us for all of their IT needs. When you need a company you can rely on, contact our experienced team! Technical support is an essential service for your business, and Yoko Networks is here for you 24/7. Whether you need hardware repair, maintenance, troubleshooting, resolution of software issues, or something else, we’re available around the clock to get your system back in action. With an in-house repair service, you won’t have to make any extra effort to get your IT problems solved. We also have a remote support system which is effective in a variety of scenarios. And you’ll always work with a dedicated team with the experience to resolve network errors, remove viruses, and more. Just a few of the most popular services we provide include disaster recovery, network failures, anti-virus and anti-spyware issues, workstation errors, and firewalls. If you’re experiencing an IT issue, contact us right away for the service you need. At Yoko Networks, we know that running a small or medium-sized business is an incredible but rewarding challenge. While our services are available to all sizes of businesses, we have special expertise in supporting the needs of small and mid-sized businesses. When you choose us, you’ll get the specialized solutions you’re looking for at a price that fits your budget. Our cutting-edge technologies can be quickly deployed when you need them to provide you with fast, affordable service for all of your IT needs. Whether you have a small project or a large one, we have the expertise to bring you solutions that are right for you. Whether you need help choosing software, building your website, creating custom applications, managing your company’s data, or more, we’re here for you. Our large team has the experience to make your business thrive. With years of industry experience, our expert staff will customize your services to ensure that they are the perfect fit for your business goals. Our wide range of services is designed to give your company the absolute best in technology at the lowest cost to you. We can provide you with assistance for just one piece of your IT system or streamline your IT needs to maximize your business. Whether you require a complete system installation or a simple repair, Yoko Networks has what it takes to ensure that your business runs more efficiently, competitively, and profitably than ever. Since I switched from a larger phone company last year to Yoko Networks, I have had excellent service at a lower price. The call quality is excellent and the dial-by-name directory makes my small company seem much larger and more professional to customers. I highly recommend them! 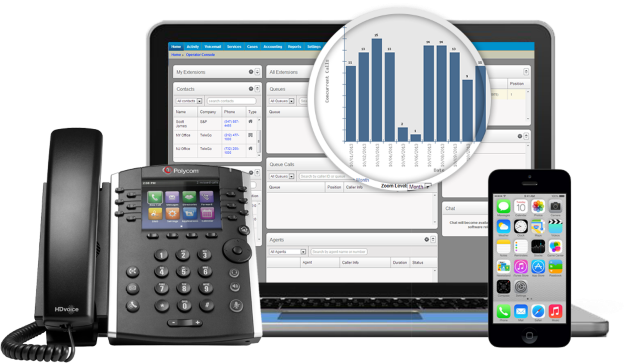 As a small business, I need a phone system that is reliable, but I didn't want to break my budget paying for a regular system. VoIP from Yoko Networks gave me all the features I want at the right price! When I was working with a larger company, I had trouble getting the customer service I needed to keep my business running when there were VoIP issues. Since working with Yoko Networks, I have gotten fast service from a very knowledgeable and friendly team of professionals. I'll be working with them well into the future! I love having a local VoIP provider right in the Chicago area! Yoko Networks staff is on call 24 hours a day. They have fixed several major issues for me quickly and reliably. Excellent anti-virus and computer repair work! If you're looking for an excellent VoIP system, Yoko Networks is a great choice. I have been a satisfied customer for the past 3 years. Great features and sound quality! Very helpful staff! Copyright 2019 © Yoko Networks. All Rights Reserved.